The Phenology Research Garden is one of 41 sites in the OSU Phenology Garden Network. It includes 17 woody plant species (in the Phenology Garden) and 15 perennial species (in the Learning Gardens). The plants are closely monitored during bloom time to predict regional insect emergence, which allows better control of pests. Phenology is the study of recurring biological phenomena and their relationship to weather. For information on phenology at The Ohio State University, visit the OSU Phenology Garden Network or the Ohioline Bulletin on Phenology Gardens. You can also follow the Phenology Garden on Facebook. The garden includes the USA National Phenology Network (USA-NPN) indicator plant Syringa x Chinensis 'Red Rothomagensis'. 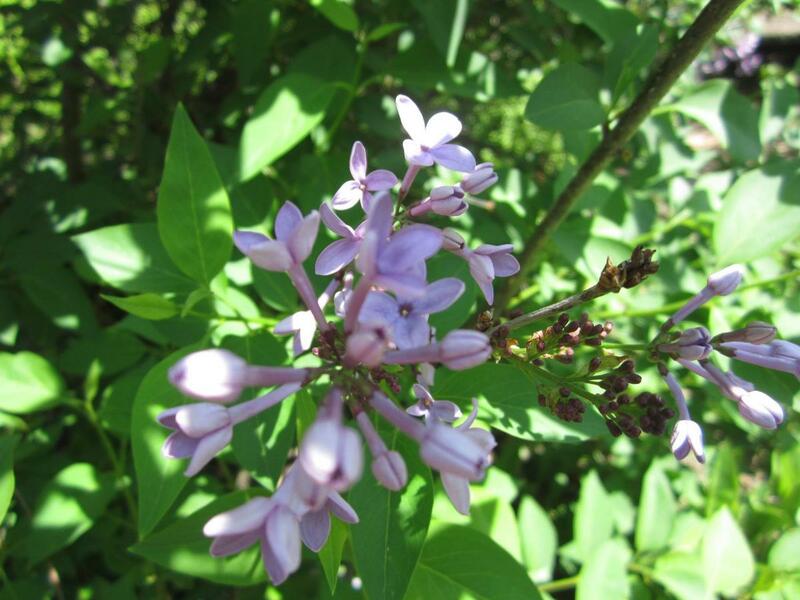 The USA-NPN and Canada's 50-year historical cooperative project monitors a phenological series of cloned lilac plant development. These data correlate observed changes in plant and animal behavior, and predict risk of target avian population collapse, biological invasions, drought, and the spread of disease. The Syringa x Chinensis 'Red Rothomagensis' (red rothomagensis Chinese lilac) is a perennial, deciduous shrub that grows 12–16 feet tall. Its tiny, reddish-purple flowers are grouped into showy, fragrant, terminal, long clusters. The leaves are longer and more narrow than the more common lilac. Our most popular artwork oversees our Phenology Research Gardens. 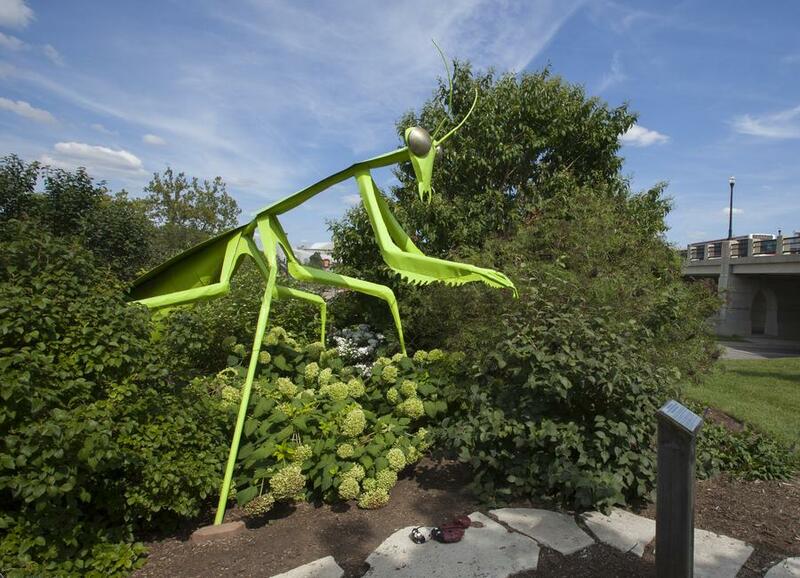 Annabelle, the 15 x 11 foot steel Praying Mantis sculpture was designed and built by sculptors Pat Belisle of Plain City, Ohio and Chris Saylor of Marysville, Ohio. The science of phenology includes studies of the annual cycle of plants (the blooming of wildflowers and trees) and animals (the seasonal appearance of insects and bird migration), so Annabelle's presence in the gardens is very fitting. Phenology also includes biological responses to weather and to seasonal changes in environment.